Dr. John B. Crawford graduated from the prestigious University of California San Francisco School of Dentistry in 1976 and completed his specialty in orthodontics in 1978 at the same university. 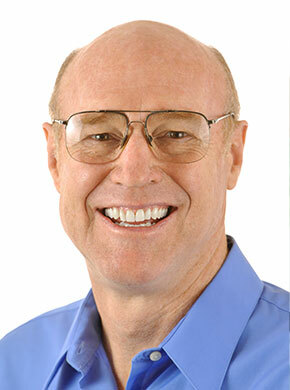 He has created healthy and happy smiles in Vacaville since 1978. Dr. Crawford completed the two-year post-doctoral program in the advanced Roth-Williams course in 1997. The Roth-Williams treatment philosophy emphasizes the importance of keeping tooth alignment in harmony with jaw joint function in order to enhance your health and the long-term stability of your orthodontic results, and represents the highest standard of orthodontic care. Dr. Crawford occasionally lectures to the public and is a member of the Vacaville Dental Study Club, a group of local dentists, orthodontists and dental specialists that meet regularly to sharpen their treatment skills. He continues to improve the health, beauty, and self-esteem of patients throughout Vacaville and Solano County. Dr. Crawford is actively involved with his church and has made multiple mission trips to Mexico to provide food, clothing, housing, and the gospel to those in need. His hobbies include woodworking, metal working, metal fabrication, and landscaping. Dr. Crawford and his wife, Sue, live on a small farm in Vacaville.